CSSP Manpower Services (Your Offshore Business Partner) is designed to help small to medium size business to build a professional LEAD GENERATION services that will enhance your visibility in the market. Our service translates your BUSINESS into more sales conversions and increase in revenue. 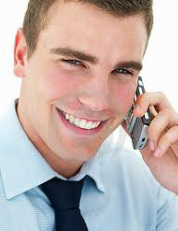 CSSP Manpower Services will help you in communicating better with your Prospect Target customers through our Appointment Setting Service, and improve sales experience, by generating a positive feedback, and develop loyalty among your clients. We simply personalize our service because we understand your business objective. Call US to personalize your marketing service needs! Learn more about our services as you go through our site. To Request for Our Client References and for FREE Quote for Lead Service Marketing, Contact Ms. Amanda @ 734-238-2245 or you may Email csspmanpower@gmail.com to assist your inquiry.